Early bloomer. 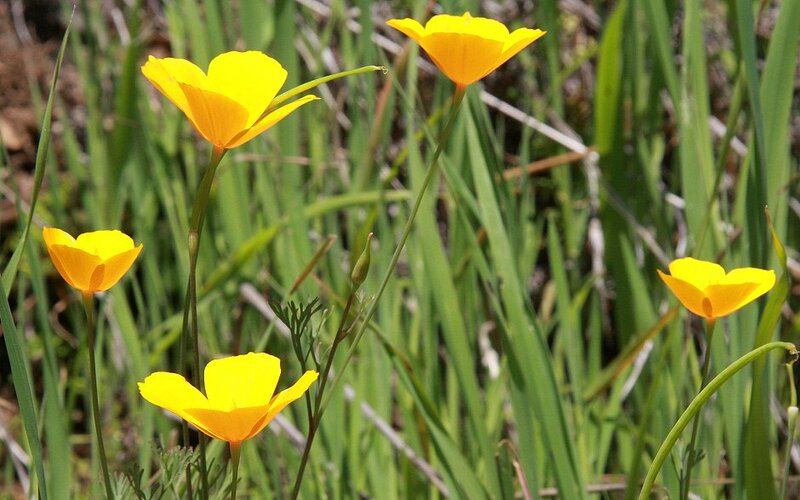 Orange to yellow, same genus but not the California state flower. Birds eat seeds, leaves used for toothache. 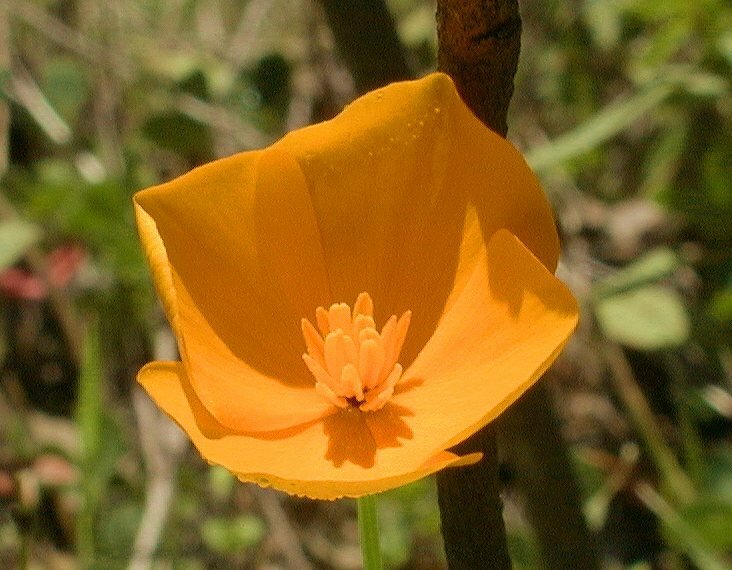 Notes: Ours can be distinguished from the state flower, Eschscholzia californica, by looking beneath flowers. The californica has a washer or small green plate, the caespitosa does not. Ours also tends to have smaller flowers. 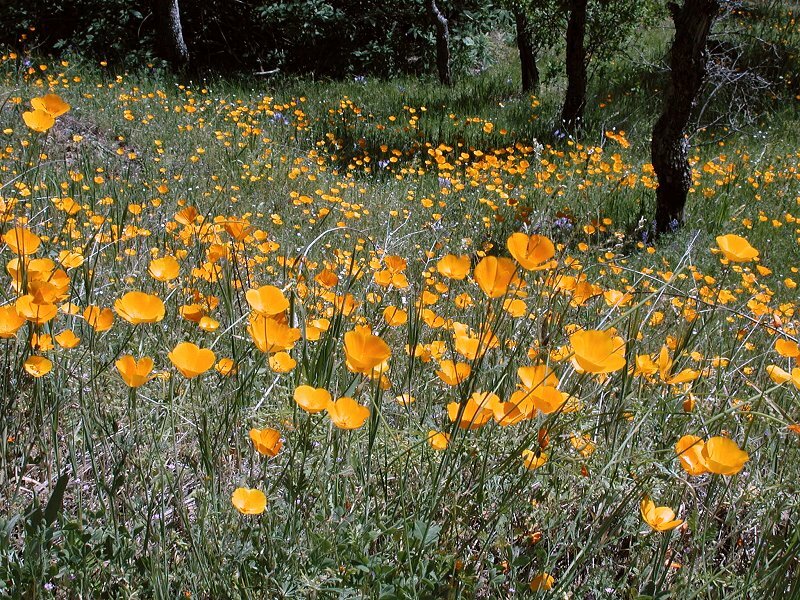 Coastal poppies tend to be more yellow, inland-more orange, but colors can vary in the same area, even to white. 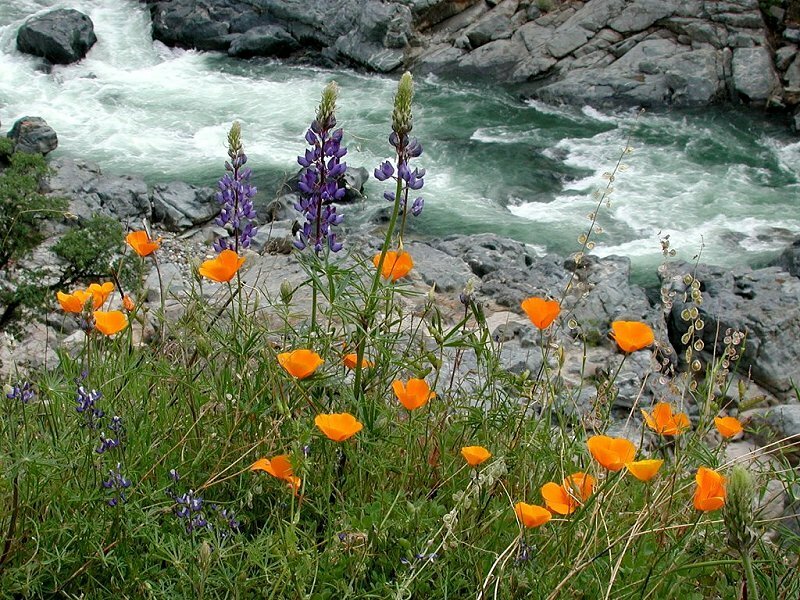 Warmer weather tends to produce more orange flowers. The seed pods (like little caps) rupture when ripe, open like little mouse-traps, and can project their seeds. Seeds are used for food by some birds. The Maidu used the leaves to relieve toothache and the plant as a sedative, for headaches and insomnia. In art, the poppy is the symbol for sleep/death. It is one of the few plants with special pigment molecules (escholtzxanthin).